We hope this page will help you answer commonly asked questions as you go through the proposal and grants management process at the University of Delaware. Choose a topic below to view questions that are commonly asked and then click on a question to expand its answer. If you have additional questions that are not covered here you can contact the Research Office or find your representative in our research administrator’s directory. 1. What is cost sharing? Cost sharing is defined as project costs not borne by the sponsor . 2. How is cost sharing accomplished? 3. Why does the University need to track cost sharing? Federal regulations require full accountability for costs committed in the fulfillment of sponsored programs. Cost Accounting Standards require that costs proposed on a sponsored application be accumulated and reported on completely and accurately. The University of Delaware chart of accounts carries a Project ID for all contracts and grant codes; including the Project ID on a non-CandG code will indicate to the system that there exists a relationship between the NON-CandG code and the award. In this way, the transaction is funded by a NON CandG code, but cost-shares a CandG Code. This method does not work when matching C and G Codes to C and G Codes. 4. What types of expenditures may be cost shared? Cost sharing may consist of direct expenses such as faculty effort (and thereby related salaries and fringes), lab supplies, equipment, and travel. 5. What types of expenditures may not be cost shared? Any expense that the University has defined as an indirect cost, such as administrative salaries, office supplies, and operations and maintenance expenses, may not be cost shared. Unallowable costs as defined in Section J of 2 CFR parts 215-220, Cost Principles for Educational Institutions (OMB Circular A-21) may not be cost shared. Mandatory cost sharing is required by the sponsor as a condition of the award. Ordinarily this requirement will be indicated in the program announcement. Voluntary cost sharing is not required by the sponsor but is nevertheless offered in the proposal by the investigator; ordinarily this is in the form of contributed effort. Cost sharing that is proposed voluntarily by the investigator becomes mandatory (or also known as ‘voluntary committed’ cost sharing) once the award is made. One other kind of voluntary cost sharing occurs in the case of over-expenditures, if the additional costs are covered by University funds. All committed cost sharing, whether mandatory or voluntary committed, must be accounted for and tracked. 7. Can a discount provided by a vendor be used for cost share? No. The University must incur costs in order of an item to be allowable as cost sharing. Discounts (e.g. Quantity, educational, etc) do not result in an actual expenditure. Therefore, they are not allowable as cost sharing. 8. Can you provide some examples of language in a proposal that would or would not be considered cost sharing for accounting and reporting purposes? Dr. Dots will devote 20% of her time to the project at no cost to the agency. The department will purchase a data widget (cost $10,000) for exclusive use in support of Dr. Dots’ project. Dr. Dots will be providing expert advice and consultation to the project. Dr. Dots’ laboratory is 1200 square feet. She also has access to the departmental data widget. 9. What should happen if the award funding is reduced? If the award funding is reduced, under many circumstances, the cost share will be reduced proportionally. If the award was reduced so significantly that the scope of work cannot be performed with the available funding, and therefore additional funding from University resources is needed to complete the project as described in the original proposal, a request for additional cost sharing funds should be made to those potential resources. The committed cost share, however, will remain as it is written in the agreement. 10. Are other sponsored funds used on a project considered cost sharing and if so, how are they tracked? Any cost of the project not borne by the sponsor is cost sharing and to that end our system neatly and easily allows for the tracking/itemization of non-sponsored funded cost share (through use of the Project ID field, see above). When cost share is provided by another Research Office code, however, our system is more complicated. This type of cost share presently requires either the creation of a new Purpose (such that the expenses can be easily identified) or in the case of effort certification, a user can link the Cost Share Research Office Project ID to the related Research Office Project ID by noting the relationship in the comments field. Accumulated at the end of the project and reported to the Research Office for the completion of the close out audit. 11. How do I know what indirect cost rate (also known as the Facilities and Administrative, FandA, rate) to use to calculate for the cost shared budget? The UD Grants System will calculate the rate for each of the budget items entered into the budget. The rate is multiplied by the direct costs being cost shared on the expenses (accounts) that would bear FandA if charged directly to the grant. These items do not bear actual FandA costs (SFA), but bear Cost Shared FandA (CFA). There is also the matter of Waived FandA (WFA) which is the calculation of the institutions current FandA rate minus that which is charged as CFA or SFA. 12. What do I do when I have a proposal with cost sharing of both faculty effort and other costs (equipment, supplies, etc.)? Itemizing each budget entry on the proposal budget will capture the details needed to fulfill the cost share documentation for proposed budgets. 13. How do I request equipment cost share funds? The Research Office equipment cost share dollars are available when proposals either require equipment cost share or the project budget exceeds the available funding in the area of equipment. The Research Office policy allows for one-time requests up to $50,000 with assistance from the college and/or unit requires an equal $50,000 of the requested amount (i.e., 50K from the Research Office, requires an equal $50K from the college/unit). 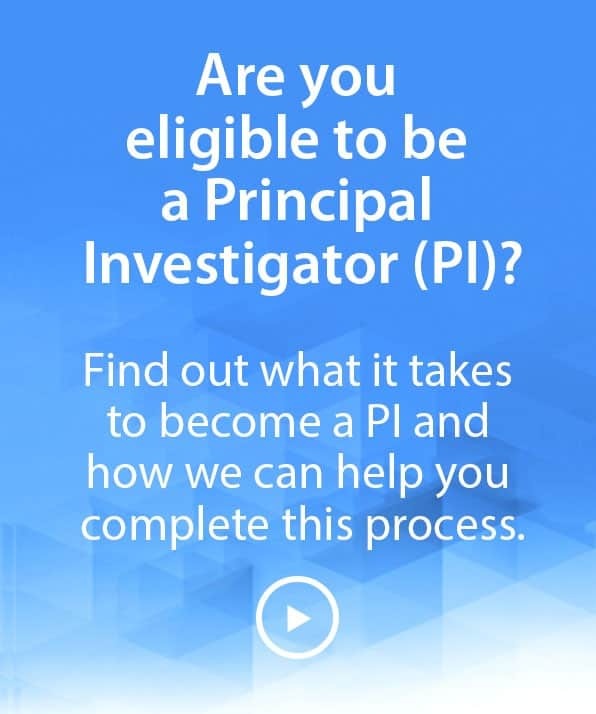 This funding applies to individual P.I. (s) projects. Approval for cost share should occur at the time of the proposal submission through inclusion in the grant budget. The Proposal Approval Form will automatically be routed to those responsible for the cost share approval. Please refer to the policy for more information. Equipment Cost Share Policy. 1. Are International transaction fees an allowable expense to a grant? International transaction fees are deemed a travel expense, and are an allowable expense to a grant. 2. May the processing and filing fees for an H1-B visa be charged to a sponsored award? Department of labor regulations viewed any costs associated with processing and filing of the H1-B application had to be covered by the hiring department. If paid by the employee it was seen as an “unauthorized deduction” from the employee’s salary. As there is nothing specific in OMB CircularA-21 Cost Principles for Institutions of Higher Education, the sponsor terms and conditions per grant/contract/cooperative agreement prevail. For example, NIH allows the fees as a recruitment cost while NSF does not allow the costs unless preapproval is obtained from the NSF Grants Officer. In the event the individual is named in the proposal, prior approval by the NSF Grants Officer is not required. To date, no other federal sponsors have provided specific guidance regarding these costs. The expectation is that the individual for whom the fees are paid should be paid 100% on the award to which the fees were charged for the duration of their employment at the University of Delaware. The Premium Processing fee is not allowable on any federal award. 1. What basic information should be on the SF424 for a grants.gov proposal submission? 2. What are the important points I should know when preparing a NIH grants.gov application? The University of Delaware is already registered with grants.gov, so it is not necessary for you to register; however, if you do not have an eRACommons account, please notify your assigned Contract and Grant Administrator as soon as possible. When searching for your application package, use the Funding Opportunity Announcement (FOA) number—not the CFDA number. When completing your application package, please leave any field or reference to a CFDA number blank; NIH will fill in this information for you as appropriate. When preparing your application, the NIH guidelines on font-size, font-type, and ½ -inch margins apply to the entire application package including ALL uploaded attachments. The guidelines state: “Use an Arial, Helvetica, Palatino Linotype or Georgia typeface and a font size of 11 points or larger. Type density, including characters and spaces, must be no more than 15 characters per inch. Type may be no more than six lines per inch.” Please note that Times Roman is not listed as an acceptable type font per NIH guidelines. Although you are to follow all NIH proposal guidelines when preparing your application, remember that Funding Opportunity Announcement (FOA) guidelines will always supersede any in the NIH proposal guidelines. All attachments should contain no headers and/or footers. NIH will generate those for you when it compiles your application image (this includes page numbers and PI name in the header). Only use .pdf platform for all your attachments. .doc platforms will not be accepted. In the SF424 (RandR) form, use the following emails as appropriate:For Box #5: Your Contract and Grant Specialist ’s email address For Box #15: PI’s email address For Box #19: udelaware-awards@udel.edu. When completing an application package that involves multiple-PIs, please consult the definition of a PD/PI from the NIH guidelines at http://grants.nih.gov/grants/guide/notice-files/NOT-OD-07-017.html. Please note that it is required by NIH that you include an attachment justifying multiple PD/PI’s in box #14 of the PHS398 Research Plan form of the application package. Please note that NIH does not recognize Co-PI’s, so do not use that field description in the Senior/Key Person Profile form or in the budget or budget justification. Also in the Senior/Key Person Profile form, the completion of the “Credential, e.g., agency login” field is required by NIH and if left blank, will be caught as an error when it reaches NIH validation. Completion of this field is required for all PD/PI’s, and the information that goes in the field is the PD/PI’s eRACommons login name. This is not required for other key personnel, just the PI/PD. When completing your Research Plan, NIH requests that it should be organized as a whole 25-page document first, and then chopped up into its individual sections and uploaded as attachments in the PHS 398 Research Plan form. Once the Research Plan is in its individual attachment format, NIH will accept it as a 27 to 28 page document due to white space from chopping it up into sections; although the PI will receive an email with a warning they can disregard that warning. Please remember to select one budget form to use from the “Optional Forms” box of the application. For example, if you are doing a modular budget, then you should select and complete the modular budget form. Do not use both forms. Note that your budget justification should be included as an attachment in the budget form. When preparing the budget, many PIs will leave the field for the “Cognizant Federal Agency” information blank. If left blank, NIH validation will catch this and stop your application package submission with an ERROR message. Please remember to complete this field. The information is as follows: Office of Naval Research, Attn: Joanne Elkowich, (703) 696-7742. If your application will include a consortium (subcontractor) organization, then NIH requires that you download the budget form titled, “RandR Subaward Budget Attachment” from the application package and email the form to your consortium PI for completion. This form is not a .pdf file. It is a pure edge viewer file so the consortium PI or their administrator must have pure edge viewer loaded on their computer. Once the form has been completed by the consortium PI, along with their budget justification attachment, then upload the form as a pure edge viewer attachment to the grants.gov package within the RandR Subaward Budget section. Please contact your Contract and Grant Specialist if this procedure isn’t clear, or if you will need further instructions. A Cover Letter is not mandatory for a “new” first submission, but if your application contains errors at the NIH validation, then a cover letter must accompany the corrected application stating reason(s) for submitting a “corrected” application. Also note that Cover Letters are required for all renewals, supplements, and competing continuations. Note that each time you revise a Cover Letter in grants.gov, you have to upload all previous Cover Letters, along with the revised Cover Letter, as one .pdf file in the attachment. After you have completed your grants.gov package, please “Check Package for Errors” before emailing it to Research Office for submission. When Research Office receives your package, the first thing that is done is to push that “Check Package for Errors” button, and if there are errors, the application package will be returned to you for correction, without review. Please note that the “Check Package for Errors” is only a grants.gov validation; this tool does not check errors for the NIH validation. NIH validation will take place by eRACommons when NIH receives the application package from grants.gov. Please note that when your application reaches NIH validation, “warnings” will not stop the acceptance of your application and will generate an image of your application; however, any applications with “errors” will not be accepted by NIH and will not generate an image of your application. Please be certain you take all measures to assure your application is not submitted with errors. For further information and training on NIH grants.gov SF424 (RandR) process, please go to the following website http://era.nih.gov/ElectronicReceipt. Don’t forget Research Office 72-hour deadline as posted on UDaily. 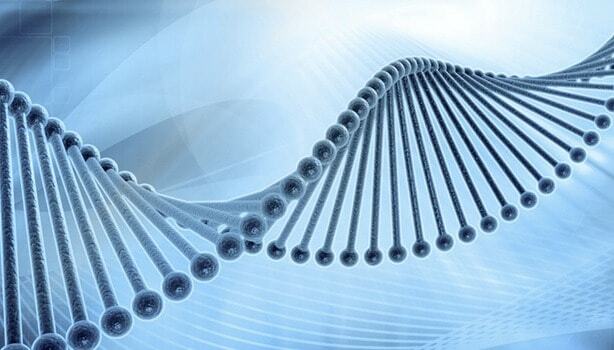 This deadline includes receipt of the completed application package, as well as an approved webform and any other documents, such as Conflict of Interest and certifications for Recombinant DNA, human subjects (if not pending), IACUC, and radiation. 3. Where do I find more information about NIH grants.gov application procedures? Please see steps for submitting an application. 4. Where can I find the NSF grants.gov application guidelines? 5. 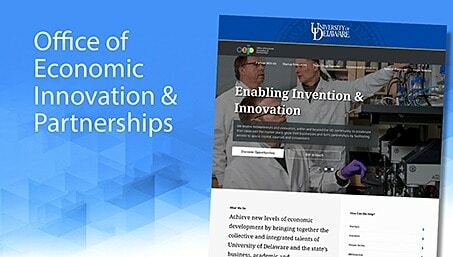 Is the University of Delaware registered in Grants.gov? Yes, the University of Delaware is registered in Grants.gov. Individuals cannot register to submit proposals on behalf of the University. Only the Contract and Grant Specialist in the Research Office can submit proposals as the Authorized Organization Representative (AOR) for the University of Delaware. 1. What is a no-cost extension? The university expects recipients to complete all requirements of the GUR award by the termination date listed in the award letter. The Research Office will provide additional time by approving your request for a "no-cost extension." 2. What is the project period? For awards made prior to July 1, 2013 the grant period is 12 months beginning on June 1. For awards made after July 1, 2013 the grant period is 24 months beginning on June 1. 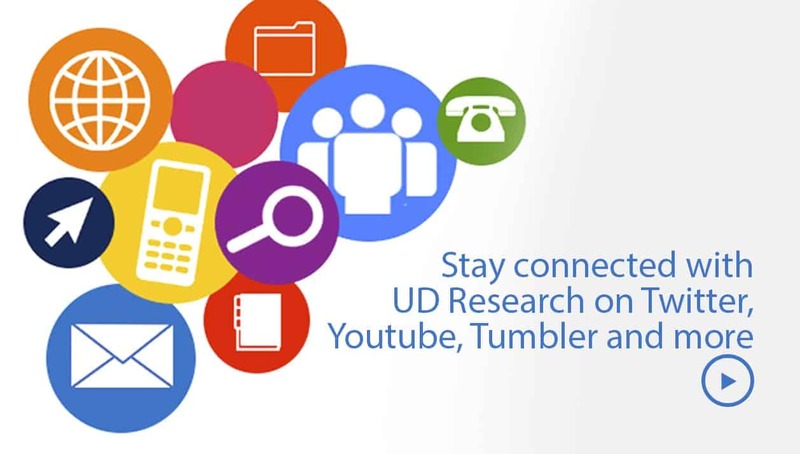 Submit a request to research-gur@udel.edu. Please copy your assigned Contract & Grant Specialist and Department Administrator in the email. — Relevant information that identifies your project: title, purpose (expense code) and the current project termination date. — The extended termination date (month/day/year) you are requesting. Note: the maximum time allowed is one year. — Justification--reasons you need an extension. See guidelines below for help. 6. Under what conditions is the Research Office likely to deny an extension request? 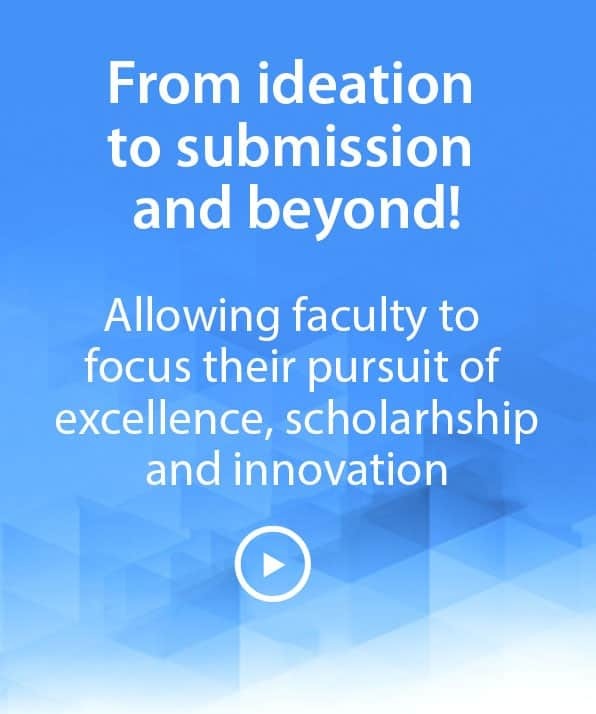 The university expects recipients to complete all requirements of the GUR award and understands that over the life of the project some reallocation of funding may need to occur. For awards made prior to July 1, 2013 please send your reallocation request to research-gur@udel.edu. Starting with awards made after July 1, 2013, only budget changes exceeding 10% of the total award and rebudgeting of funds into categories not in the original award need to be approved by RO. Please complete the Request for Rebudgeting form and email the completed form to research-gur@udel.edu. Please copy your assigned Contract & Grant Specialist and Department Administrator in the email. 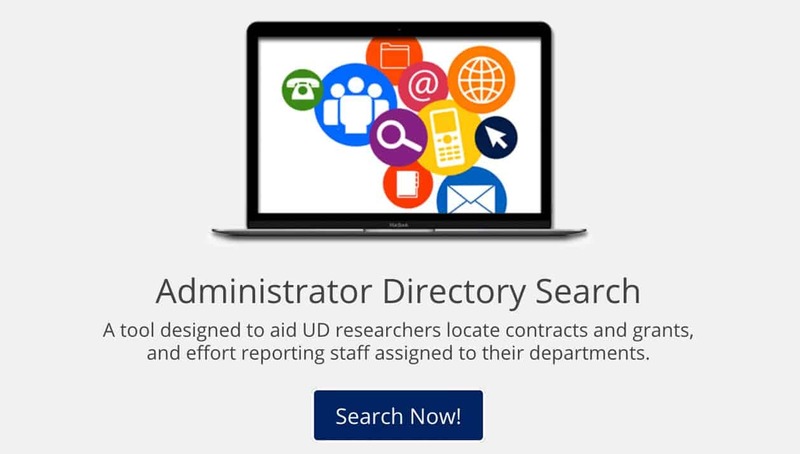 Your Contract & Grant Specialist can be located from the Department Administrator Directory. Please see your Department Administrator. The Department Administrator directory can be found here. 1. May an NSF Graduate Fellow receive supplemental stipend? o clarify the apparent discrepancy between NSF’s FAQ #164 and the paragraph about stipend supplementation in the NSF Administrative Guide, we believe that, in most cases, NSF grad fellowships may justifiably be supplemented by additional pay in the form of RA (normally charged to account 122600) or TA (normally charged to account 122500) payments. When the goal of the research (RA) or teaching (TA) activities for which they are being paid is to contribute to the fellow’s education and training as part of their degree requirements, additional time/pay for these activities is allowable. In situations where NSF fellows receive additional funding for these types of activities, the expenses should be allocated to account 122700. Additional payments as a teaching or research assistant are not allowable, however, when they are primarily provided as service to the University, and do not directly contribute to the education of the student in their assigned field of study. An example of unallowable activity would be working in an area or capacity which is not directly related to the student’s area of study. If the student is receiving supplemental pay during their tenured status as an NSF Graduate Fellow their salary admin plan should be Graduate Fellows and all of their pay should be charged to account 122700. 2. 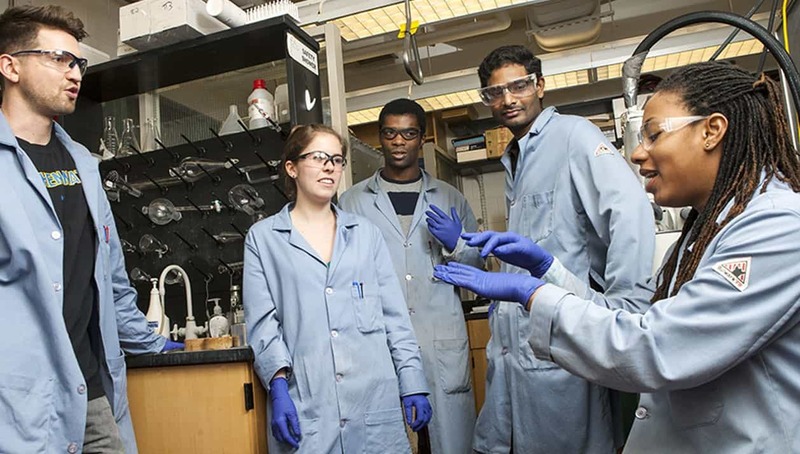 What is a Research Experience for Undergraduates (REU)? The aim of an REU Experience is to provide appropriate and valuable educational experiences for undergraduate students through research participation. REU projects involve students in meaningful ways in ongoing research programs or in research projects specially designed for the purpose. REU projects feature high quality interaction of students with faculty and/or other research mentors and access to appropriate facilities and professional development opportunities. Active research experience is considered one of the most effective ways to attract talented undergraduates to and retain them in careers in science and engineering, including careers in teaching. An REU is not a work for hire. The student is provided a stipend during the time they are part of the program without a work requirement. No hours should be tracked or recorded regarding the stipend paid to the student. The stipend for the REU is not wages/ salary and no employment tax or federal and Delaware income tax will be withheld. The stipend will not be processed through the UD HR/payroll department and will not be reported on an individual’s W-2 wages. REU stipends should be processed via a Request for Payment to Individual through the Procurement Office utilizing financial account 148100 REU SCH SUPT-US CITIZN/PERM RE and 148200 REU SCH SUPT-NON US CITIZN/PERM. The REU stipend to the undergraduate student is classified as participant support. If you are a U.S. Citizen or permanent resident no taxes will be withheld nor will the UD report the stipend to the Internal Revenue Service on Form 1099. The amount received by the undergraduate student may be considered taxable by the Internal Revenue Service. This will depend on whether the stipend is considered qualified or non-qualified scholarship/fellowship payments. This determination is made by the undergraduate student in conjunction with a his/ her tax advisor. If the undergraduate student is not a U.S. Citizen/permanent resident, taxes will be withheld when the stipend is paid and will be reported to the student and the Internal Revenue Service on Form 1042-S.
1. How do I know when the service I require is a subcontract, a consultant or a PO to a vendor that I need in my budget? To determine which type of service is required, evaluate the subtle differences between the three categories below. Your Contract and Grant Specialist can also help you determine the proper category. Performs substantive programmatic work under a grant or contract. Bears responsibility for programmatic decision making and measurable performance requirements. Must adhere to Federal compliance requirements if the source is a Federal award. The procurement of goods or services from an organization which provides the goods and services to many different purchasers as part of its normal business operations within a competitive environment Not subject to the same compliance requirements as a subcontractor (if the source is a Federal award). Not an employee of your institution. Proven professional or technical competence and provides this to your organization. Is not controlled with regard to the manner of performance or the result of the service. Considered a work for hire and does not retain any rights to the end product. 2. What difference does it make to my budget whether it is a consultant, vendor or subcontract? Subcontracts are charged overhead on the first $25,000 budgeted. The vendor or consultants are charged overhead for all expenses related to the work. It is helpful to get this distinction in your budgets at the time of proposal so that your budget need not be revised due to a change. These changes may require approval from the sponsor. 3. How do I initiate the subcontract once my award has been funded? The Department prepares the requisition and attaches scope of work, budget and the completed Provider Category Determination Worksheet – (DOC format) to justify the subcontract to Procurement Services and the Research Office. 4. 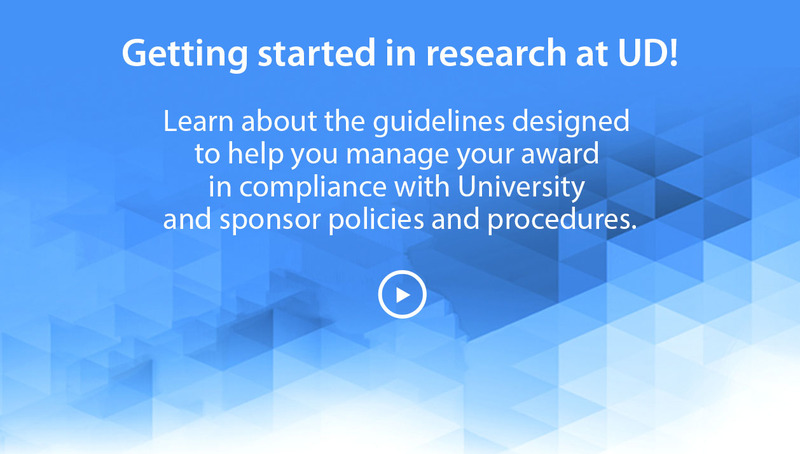 Why does it sometimes take so long to get my subcontracts once the award arrives at UD? When all entities have worked together in the past, or when it is a University, it is usually quite swift. The delays can occur when it is an industrial contact that may be unfamiliar with our terms and conditions. Delays in the process should be discussed with your Contract and Grant Specialist. 5. I just got an invoice from the sub-contract recipient. What do I do? The Principal Investigator is responsible for evaluating the merits of the invoice and determining whether the work has indeed been performed as noted. The invoices should include a summary of expenses by category, dollar amount, date of services provided, and subgrant #. The invoices are not paid until the PI has signed and approved the payment and availability of funds have been verified. 6. How do I initiate a Consulting Agreement? You must complete and route for signature, a University of Delaware Contractual Agreement for Consulting Services form. The form may be obtained from the Research Office. Consulting agreements greater than $25,000 must be accompanied by a Debarment Statement signed by the Consultant. 1. Are meals that do not include travel allowable on a grant or contract? Please see the attached document regarding the allowability of meals (non-travel) on grants and contracts. 1. Who is authorized to generate an Interim Report? Anyone who has access to view the purpose. 2. Who is authorized to generate an Automated Closeout Report? 3. Who initially receives a Closeout Report? The person identified as the research administrator in the grants system. The PI and the Grant and Contract Specialist are also copied on the communication. 4. Who is authorized to view or work on a Closeout Report? 5. Who is authorized to receive a forwarded Closeout Report? 6. Who receives the Closeout Reports for multi-project awards with multiple departments (multiple projects)? The research administrator for the lead PI will receive all of the Closeout Reports. That person forwards the reports to the other research administrators for completion. A comment should be added to return the completed report to you, the lead administrator, for final review of project management and oversight prior to submitting to the Office of Sponsored Programs. 7. What if only one or some of the projects on a multi-project award need to be closed? 8. Who do I contact with questions about the Closeout Report, or for assistance with technical difficulties? The Sponsored Research Accountants. Please do not contact your Contract & Grant Specialist; they have view-only access to the Closeout Report. 9. I can' find my Closeout Report using the Search for Closeout Reports section, what's wrong? The search boxes are extremely precise, any typos, extra spaces pasted in, etc. will result in the message “Your search returned no results. Select different criteria.” Using the lookup feature is more forgiving – it is not case sensitive, so you can just type the first few characters of the criteria. You can also use your notification email link to go directly to that specific Closeout Report. 10. I received an ACR but there is a no cost extension or renewal pending, what should I do? Click on the “Yes” button to answer the first question on the form. Provide a status or explanation in the boxes that appear and submit the ACR. 11. I received an ACR for an already completed closeout, what should I do? If there is nothing outstanding for the closeout, note the situation in the comments box at the bottom of the form and submit as completed. 12. When is the ACR due? For most federal awards, final invoicing and final financial reporting is due to the sponsor no later than 90 days after the end date. Therefore, for most federal awards, the closeout review process should be completed by the department, including time for the Research Office review, no later than 60 days after the end date. This will help ensure all necessary financial transactions are recorded in the system prior to invoicing and final financial reporting. It will also prevent potential loss of funding. For most other awards (including federal flow-through), the completed ACR should be returned to the Research Office in time to submit the final invoice on time, as determined by the terms of the agreement. The invoice could be due by 30, 60, or 90 days after the end date. Please refer to the award agreement and sponsor guidelines. Generally, closeout reviews (including both department and Research Office participation) are to be completed no later than 30 days before the final invoice due date. This will help ensure all necessary financial transactions are recorded in the system prior to invoicing. 13. Do I hold the ACR until the final technical report has been submitted? No, the Office of Sponsored Programs should submit the financial reporting (including final invoice) to the sponsor on time, even if the final technical/progress report will be submitted at a later date. Please indicate the anticipated submission plans on the ACR. Once the Sponsored Research Accountant has completed the financial review, the ACR will be returned to the Department Administrator so that documentation for the final technical report can be added. 14. What happens when I click on the submit button at the end of the form in the routing and authorization section? If you are submitting the completed form, it will automatically be sent to the Research Office. If a Sponsored Research Accountant is listed as the closeout contact, that person will receive an email notification indicating the form has been completed. If you are forwarding the form for someone else to work on, and have included that person’s email and any relevant comments, they will receive an email notification indicating the form is available to them. 15. When I use a lookup window to search, I only see 10 items listed from which to choose? In the upper right corner of the lookup window you will see blue hypertext “11-20”, “21-30”, etc. Click on the numbers to see each page of ten items. To go back down the list, click on the numbers at the far left. The total number of search results appears directly above the list box. 16. The grant ended 7/31/10 and July F&A and fringes are showing up as “after the end date,” even though they are for the previous month? Some F&A charges and fringe charges can show up on your ‘After end date’ section. This will happen when an award has reached its end date, and final F&A and fringe charges are calculated and recorded. Please ignore these items in your explanation. 17. I have a really long list of unallowable transactions, but I don’t think they are really unallowable? The ACR is retrieving potential unallowable costs based on typical awards. It can’t retrieve unallowable costs based on each specific award, so there may even be transactions that are unallowable on your award, but aren’t on the ACR list. The list is for your convenience only, as a starting point for the review and analysis of expenses. 18. For subcontract activity, why does some activity listed not have a PO#? This section will list expenses recorded to subaward accounts 153200 and 153300. If an expense was recorded from a source other than a payment from a PO (such as a Journal Voucher), a PO# number will not be listed. In the event an expense was recorded by a Journal Voucher, the Req# will be listed in lieu of the PO#. 19. Can the ACR be forwarded to non-university personnel, for example to have a subcontractor attach their final closeout documents? No, only people with a University of Delaware email address can receive and work on an ACR. Documents and communications from a subcontractor or other non-UD personnel can be included on the ACR as an attachment. 20. If we are the contractor on someone’s grant is there any difference with regards to how the ACR should be processed? No, when we are the subrecipient, it is handled like any other award. 21. What if I get an error message that my documentation file is too large to attach to the ACR? 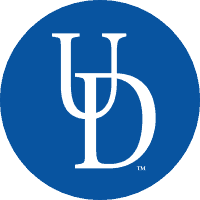 For large quantities of backup, use the UD dropbox with this address: closeout-reports@UDel.Edu. Alternately, you could send hard copies via campus mail. Either way, please include a note in the comments field that you are sending the backup separately. 22. Does the ACR address all issues which need to be reviewed for closeout? No, each award may have unique terms or issues that need individual attention. Please consult your award for special terms and conditions. 23. I need to update some sections of the ACR after it’s been submitted to the Research Office? The Research Office may return the ACR for additional documentation, or the department can request it back for updates, as long as the closeout hasn’t been completed by the Research Office. 24. The forms look a little different from the last time I logged in? Over time, the forms will be revised and enhanced, as needed by system requirements and as requested by users. 25. What do we do about after end date or unallowable charges that have already been removed? If the summary or actual details net to zero, you do not need to do anything. If there are any outstanding JV’s, please provide the Req id(s) in the comments box. 26. Is there a specific naming convention for attachments? 27. What evidence is needed for final report submission? The Research Office needs to see proof that a report was sent (when and to whom). A copy of a cover letter or an email where the report is attached would be sufficient. An email from the sponsor, stating that all technical reporting requirements have been met would also be ok. If you are attaching an email, please be sure that the recipient or sender at the sponsor is clearly identified (an @gmail address with no signature block is not enough). For NSF and NIH awards, a statement that the PI has submitted the report is all that’s needed. 28. Can you cut and paste into the comment section(s)? 29. What is the difference between a status of “Unsent” versus “New”? When the ACR is first created, a status of “Unsent” allows Research Office to review the reports prior to actually pushing them out to the departments. Once checked, RO pushes the reports, which creates a status of “New”. 30. If the project/purpose has a “D” in the title can departments assume that the award/project is closed? Yes, however you still have access/ability to review the closeout report for any newly added transactions that may need to be removed. The reports are being created based on award dates, not individual project end dates. 31. Can departments still access the report to later add proof of final technical report submission? Once the Sponsored Research Accountant has completed the financial review, the ACR will be returned to the Department Administrator so that documentation for the final technical report can be added. 32. Does the department need to contact RO to have the report re-routed to them? Yes. A Sponsored Research Accountant and/or the current form holder are the only ones who can re-route an existing ACR. 33. Can you provide more information on purpose project conflict section of the ACR? Actual Purpose/Project discrepancies are rare. This section may retrieve cost share transactions that are tagged with the grant project id and have a departmental purpose. These are not true purpose/project discrepancies and can be ignored. 34. I entered a project id into the search screen and received no results. Why? Use the lookup feature to ensure that the project id wasn’t entered incorrectly. If there is still nothing found, the ACR may not have been created yet by RO. Check with a Sponsored Research Accountant to have one created. 35. How do you retrieve an ACR, either one that’s new or one you have been working on? You can always go directly to the relevant ACR from the email link you received when the ACR was forwarded to you. You can also search using a variety of criteria from the Search for Closeout Reports section. The criteria boxes on the Grants Project Closeout Report Menu screen require very precise data entry. They are case sensitive and the entry must be exact, with no extra spaces or misplaced digits or punctuation. The lookup feature for each section is much more user friendly, with more accurate results. The creation date search will be more useful to the Research Office, since the departments won’t necessarily be aware of when any given ACR was initiated. 1. What is the difference between a cost reimbursable and fixed-priced contract? A contract/grant for which the sponsor pays for the full costs incurred in the conduct of the work up to an agreed-upon amount. 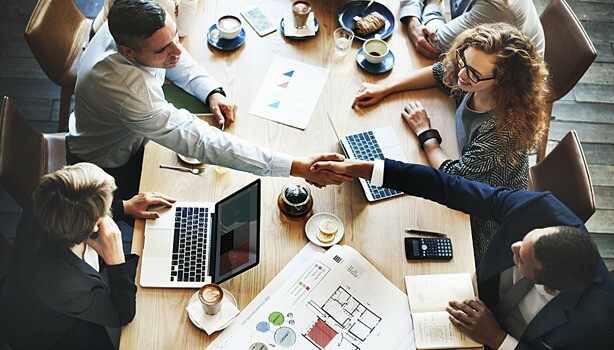 In a cost-reimbursement contract, the sponsor agrees to pay for all allowable costs incurred by the University in the process of doing the work or research up to an agreed upon maximum. If the project costs less to complete than the original amount budgeted, the sponsor is obligated to reimburse the University only up to the allowable costs of the project. Unlike a cost-reimbursement contract, a fixed-price contract pays the University a fixed sum of money to provide a deliverable, service, or specified level of effort. A fixed-price contract for billing purposes disregards the actual costs incurred by the University to perform the contract. The University assumes the risk of over spending. If the project is completed with less spending than the contracted amount, the University can usually keep reasonable unexpended funds for unrestricted use. For this reason, sponsors may be interested in auditing the proposal of a fixed-price contract to look for unnecessary and overestimated costs. However, they may not typically audit the accounting records unless the contract is terminated early. The billing term for a fixed-price contract usually includes pre-payment of a fixed amount, fixed quarterly payments, or payments in fixed amounts based on schedules such as milestones, tasks, or deliverables. Occasionally, the terms of a contract may be inconsistent. For example, a contract is titled “fixed-price,” but the billing term is cost-reimbursement. This means that the University is not paid until the costs are incurred. Under such circumstances, the contract has to be treated as a cost-reimbursement contract. Both the proposal and the accounting records of such a contract may be subject to audit. It is always wise to consult the University of Delaware Research Office for a legal opinion when mixed terms are present in a fixed-price contract. Note: The payment schedule is not an indication of the type of contract. The payment schedule on either of the contracts can be monthly, quarterly, semi-annually or other. 1. How do I report cost-shared (a.k.a. match) effort on a project if the funding source has its own project ID? If the purpose code for the match source, itself, is a sponsored project, you cannot tag match transactions in the usual way because there is already a value in the project ID field. To document cost-share provided by another sponsored project, note the amount and source in the comments field of the appropriate effort reports. 2. Can I send a carbon copy of the form to another administrator? Yes, the system will allow effort administrators to route a copy to another administrator for their viewing needs, once the form is in completed status. Other accounts will not be included in the effort analysis. 4. How does routing really work? See the flow chart downloaded here - for a full explanation of how routing works in the effort certification process. 5. How do I revise an old (Paper SAR) Effort Certification? Cost transfers for periods originally certified on the old (paper) SAR system, must be revised on the old paper forms. Write 'REVISED' at the top of the report. Draw a line through the previously reported percentages and write the new numbers next to those. Send these to the Research Office for filing. Journals for this salary activity are permitted on the web form journal vouchers for effort prior to 9/1/04. When doing JVs for salary prior to 9/1/04, indicate in the explanation that the corresponding SAR has been revised. Any activity certified in the web-enabled effort certification system must be updated, adjusted or revised in the originating system. 6. Is effort reporting really that important? Yes! Effort reporting is a Federal requirement for institutions which receive Federal funding. The funding agencies take this reporting very seriously and expect it to be accurate and to be performed according to policy. Failure to comply could have serious legal consequences for principal investigators and financial consequences for the University as a whole. 7. What kind of effort must be reported? Any and all time spent performing the types of work for which the University pays a person. This includes time spent doing administrative tasks, instruction, public service, sponsored research and non-sponsored (department-funded) research, and any other work which is considered part of your responsibility to the University. It includes time spent outside of normal business hours. 8. What does the 5% tolerance level mean? 9. Wasn’t the tolerance level 25% at some point? No. You may be confusing report accuracy with changes in committed effort. Depending on a sponsor’s guidelines, they may allow a PI to reduce an effort commitment by up to 25%. This is a revision of budgeted effort – either sponsor-funded or cost-shared effort. Ex: A PI commits a 15% level of effort on his project. 25% of 15% is 4%, so the PI may be allowed to revise his effort by 4 percentage points without prior approval. (i.e. he could go as low as 11% without written permission). This is a change in effort as budgeted only. 10. How do you calculate a month of summer salary? Divide the full time annual rate by the number of months covered by the contract on the employee’s JED. Ex: If a faculty member has a 9 month contract for $50,000, then they would be paid $5,555.56 ($50K /9) for one month of summer salary. We equate 1 month of salary to 8.3% effort. 11. For a proposal, how do you calculate a dollar value for a committed effort percentage? If the person is not on a 12 month contract, annualize their salary first. Find their monthly rate by dividing their salary by their contract length (in months), then multiply that value by 12. Next, multiply that value by the effort percentage. Ex: With a 9 month contract for $50K, the annualized rate is $50,000/9*12=$66,667. We’d assign the budget a value of $6,667 for a 10% level of committed effort..
12. Why do we annualize a salary to calculate a value for committed effort? Or, why do we equate one month to 8.3% effort? While it is acceptable to provide effort above a committed amount, it is not acceptable to provide effort below the amount committed to a sponsor. The actual effort percentage provided is calculated based on the total amount of pay received. A faculty member’s total pay received will vary depending on the number of summer months worked, and as total pay increases, the effort value decreases, so it is safest to assume that a full 12 months of pay will be earned when committing to an effort value. 13. What are my responsibilities as an effort administrator? You are responsible for achieving ‘complete’ status of the report within the 60 day limit. 14. How can I ensure that the data on the report is accurate? There are queries available in the report instance of PeopleSoft. You can run a GMQ effort query or a GMQ salary transactions query to extract salary transactions from the financial system. 15. What if the person was paid from projects belonging to a different department? Forward the report to other departments which provided funding, and ask them to confirm that their funding is reported correctly. 16. How can a report be completed if the employee is not available to certify his/her report? If the employee has a status of ‘terminated’ in HR, the effort administrator for that employee may choose the action ‘certify for former employee’. In this case, the effort administrator must obtain suitable means of verification as to the effort provided. 17. What constitutes ‘suitable means of verification’? Confirmation from someone who had first-hand knowledge of the employee’s distribution of work effort. (Ex: a supervisor or faculty advisor) This should be documented and retained in the department as backup in support of the action. 18. How can I verify effort made by someone I don’t even know? By certifying an effort report as an effort administrator, you are agreeing that verification of the effort was made by someone who has this knowledge – either the employee or another person who worked with that employee. You are not claiming to have personal knowledge of the effort. 19. What if I need a report that is being held by someone else? The Effort Manager and other staff members in the Research Office are able to re-route effort reports when requested. 20. What if the effort administrator role should be transferred to someone else? Each department or unit has a single effort administrator assigned. Changes in assignment must be requested by contacting your department’s Contract and Grant Specialist in the Research Office. 21. Why doesn’t the status of the report change to ‘complete’ when I certify it? There are several possibilities. If the employee has not been terminated, the employee must have certified the report. The person who is officially recorded as the department effort administrator must have certified the report. The system will not allow a report to complete if there are JVs still in progress. The ‘send to’ box must be empty for final submission. 22. Why won’t the report allow me to choose ‘certify for former employee’? The employee has not been officially terminated in HR. The HR liaison may need to process a termination JED. Once submitted to HR, it may take a couple of weeks before the HR system is updated with the new employee status. 23. Why can’t the employee certify their report after I’ve sent it to them? f you’ve forwarded an effort report to the employee for certification, and they do not receive it or are otherwise not able to process it, there may be a problem with the way their email address is recorded centrally. Contact effortcert@udel.edu for assistance. 24. Why does this report show negative effort? Negative effort is a logical impossibility. A negative value for a particular project indicates the need for a correction in the allocation of salary transactions. Review any JVs referenced on the effort report for accuracy. There will almost always be a problem with a credit line on a JV – ex: wrong project credited, wrong effort period on the JV, or the credit value is too high. A JV will need to be done to correct the error. A second possible cause is a salary reimbursement posted after the effort period in which the payments were made. 25. What if I need to transfer salary charges belonging to an effort period which has already had its reporting completed? If you have a really good reason for needing to revise an effort report which was already certified, get permission from your contract and grant specialist in the Research Office, and forward your request to effortcert@udel.edu. The certification process will need to be repeated after the revision is made. 26. Why doesn’t the group status say ‘complete’ if all its reports do say ‘complete’? You may have received just a subset of reports from a particular group. That group could contain incomplete reports which you do not see. 27. Must a PI report effort during a no-cost extension period for a grant? For Grantee approved no-cost extensions, the University may approve the extension period but cannot approve a reduction in effort. 28. What if a PI does not spend summer salary which was budgeted for him/her? The amount of effort which was budgeted to be paid by the sponsor must still be met whether or not the sponsor pays for it. If unspent, the budgeted effort must be met as cost-share any time during the budget year. 29. What if a salary payment is made in an effort reporting period after the period in which it was earned? If any type of retroactive salary payment or refund occurs after the effort period in which it belongs, the department is responsible for notifying the Effort Manager that a correction must be made to the effort report. This must be done prior to certifying the effort report. Typically, a certification which is already complete should NOT be revised and there must be a compelling reason to do so. Examples include s-contracts for faculty summer salary which are processed after August 31, retroactive JED payments/increases, and refunds of salary overpayments. 30. What queries can help me as an Effort Administrator? GMQ_EFFORT_PROPOSED_BY_PI can be used to find a PI's effort commitments made in grant proposals. 31. How does the NIH salary cap affect budgeting and effort reporting? Example #2: Dr. Z has a 9 month appointment with a full-time annual rate of $150,000. His salary is above the NIH salary cap of $196,700. To compare his full time annual rate for a 9 month appointment to the NIH annual salary cap, you must calculate his monthly rate and compare it to the NIH monthly cap. His monthly rate = $150,000/9, which is $16,667. The NIH salary cap is $16,392 per month ($196,700/12), so he is over the cap. If Dr. Z provides half a month of effort to the grant, this would be equivalent to $8,333 of his pay. This dollar amount is below the NIH monthly rate cap, but the full amount still may not be charged to the grant. $16,392 is a monthly rate cap, not a monthly pay cap. The NIH pay cap for half a month would be $8,196 ($196,700/24), so he may charge a maximum of $8,196 to the grant for half a month of effort. Again, the amount over the cap (8,333-8,196=$137) must be recorded as effort on another funding source. 1. When should the Fly America waiver checklist be completed? 2. Where can I find the Fly America Waiver Checklist? 3. What supporting documentation is required to support the Fly America waiver checklist when a non- US air carrier is used during travel? A copy of the itinerary and board passes along with supporting documentation as identified on the Checklist that is needed for a particular waiver of the restrictions of the Fly America Act. 4. What if the Waiver Checklist wasn’t completed prior to the travel? When it is identified that federal, or federal flow through funds were used for travel that did not adhere to the Fly America Act requirements, the following actions will be required before the waiver request is submitted for approval: Complete the Fly America Waiver Checklist which can be found on the Research Office web-site under Policies and Forms and attach copies of the itinerary and boarding passes. Provide supporting documentation identifying that there were no US flag carriers that provided service to the travel destination. Sufficient supporting documentation would include a print screen (copy) of the Egencia website identifying all available flag carriers that provide service to the travel destination. This information should be obtained as soon as it is known that travel occurred that did not comply with the Fly America Act. Although supporting documentation is required to be submitted with the waiver checklist, if it was NOT completed prior to travel there is no guarantee that it will be considered as sufficient documentation for the waiver. 5. If there are several ‘legs’ to the travel, do all ‘legs’ have to be compliant with Fly America? 6. What if there are several legs on a trip (example 4 different legs) and only two are charged to a sponsored project funded by federal funds? You will need to provide documentation to show that the two legs charged to the sponsored project were compliant. 7. How do I know if a flight is code-shared and compliant with Fly America? The Fly America Act permits flights on foreign air carriers when there is a code sharing arrangement. Code sharing occurs when one air carrier leases space on an aircraft of another airline. Under certain conditions a code-share flight on a foreign air carrier is considered the same as one operated by a U.S. air carrier and allowable under the Act. American flight 4332, shown as AA 4332 on the ticket, flown by British Airways, is considered a U.S. Carrier. American flight 467, shown on the ticket as AA467, that happens to be the same plane as JL 324 above, is a U.S. Carrier. 8. Do I need to adhere to the Fly America Act or the Open Skies agreement if the travel on my sponsored project is funded with non-federal funds? No. Federal travelers are required by 49 U.S.C. 40118, commonly referred to as the “Fly America Act,” to use United States air carrier service for all air travel funded by the United States Government. Unless a term or condition of a specific nonfederal award stipulates the use of an American carrier, the traveler is not required to follow Fly America Act. 9. If there is a code share agreement between a foreign airline carrier and US airline carrier, does this mean that ALL flights are compliant under Fly America when traveling on the foreign airline carrier? No. The supporting documentation (itinerary and boarding passes) would have to show verification that it was a code-shared flight that met the requirements of Fly America. At time of booking the travel, you can inform an agent that you are traveling on federal funds and your travel must be Fly America compliant. 10. What is not considered an exception to the Fly America Act? 11. Does UD recognize travel to Canada as domestic travel? No. UD recognizes travel to Canada as foreign and must comply with the Fly America Act. 12. Does the awarding of frequent flyer points or miles make my flight Fly America compliant? No. The award of frequent flyer points or miles with a particular airline does not make the flight for which they were awarded Fly America compliant. The determination of a flight’s compliance is based upon the primary carrier status as noted by the ticketing codes of the flight; they are not based on mileage or points awards. Your airline ticket/e-ticket must show the proper US Flag Carrier codes. 13. If I use a foreign air carrier that is part of Star Alliance, am I compliant? No. Frequent flyer agreements such as Star Alliance do not infer U.S. Carrier status on their members absent the utilization of a Code Shared flight with a U.S. designator. 1. When did UD adopt Open Skies as part of the University’s Travel Policy Number 3-7? 2. Where can I identify the countries included in the Open Skies agreement? 3. How do I know when additional countries have joined the European Union as part of the Open Skies agreement? There is no official announcement when additional countries are added to the Eastern European (EU) agreement, or when existing countries are removed, as the countries that participate in the Eastern European agreement can change over time Travelers will need to visit the U.S. General Services Administration (GSA) website prior to traveling to determine if the destination country is a ‘member state’ of the EU agreement. Please note: Travelers using Department of Defense (DOD) are not permitted to take advantage of Open Sky Agreements. Travelers using DOD funds must use an American carrier, unless they qualify for an exemption as noted in FTR 301‐10.135, sections (a), (d), (e), (f), and (g). 1. What is an export? An export is the shipment of items or data to a foreign country. It is also the electronic or verbal transmission of controlled information (phone, fax, email) to an individual in a foreign country. Provision of a service based on knowledge acquired in the U.S. is also an export. 2. What is a “Deemed Export”? A deemed export is the disclosure of controlled information or technology to a foreign national within the U.S.
3. What are Export Controls? Export Controls generally refer to the federal regulations governing the export of materials, data, technical information, services and financial transactions to foreign countries based on U.S. security interests. These regulations include the ITAR, the EAR and OFAC regulations. 4. What is the ITAR? The ITAR (22 CFR 120-130) is implemented by the Department of State. These regulations are designed to cover materials and technologies whose primary purpose is considered to be military in nature. Materials covered under the ITAR are enumerated in the United States Munitions List. Export of defense services, defense articles and related technical data on the USML requires licensing from the Directorate of Defense Trade Controls (DDTC). 5. What is the EAR? The EAR (15 CFR 774) is implemented by the Bureau of Industry and Security in the U.S. Department of Commerce. These regulations apply to “dual use” technologies, i.e., items that have a civilian use, but which may also have a military use or which may be controlled for shipment because of national security concerns. 6. How does the EAR work? Under the EAR, items and technologies are assigned an ECCN or Export Control Classification Number. This number is a five-digit alpha-numeric code that identifies the item and technology. Export controls depend on the item classification and the export destination (or home country in the event of a deemed export to a foreign national). In the case of a controlled export, it may be necessary to apply to BIS for an export license. 7. What are “Specially Designated Nationals” and restricted parties? SDNs are nations, entities and individuals that are the subject of economic and trade sanctions under the OFAC. Restricted parties are those persons, nations and entities to whom exports are restricted; they may be specially designated nationals, but also include individuals and businesses who have been debarred by the Department of State or restricted by the Department of Commerce because of previous violation of the regulations. 8. Aren’t Universities exempt from the Export Control Regulations? Both the ITAR and the EAR have clauses providing exemption from the licensing requirements for fundamental University Research. Information resulting from basic and applied research in science and engineering conducted at an accredited institution of higher education in the U.S. that is ordinarily published and broadly shared within the scientific community falls under this exemption. It is important to note, however, that research will not be considered fundamental if: the University or its researchers accept other restrictions on publication of scientific and technical information resulting from the project or activity, or if the research is funded by the U.S. government and specific access and dissemination controls protecting information resulting from the research are applicable. 9. What is a technology control plan? A technology control plan is a formal plan that delineates how an Export Controlled research project will be conducted. It includes details about how the technology will be secured, who will have access to it and how the technology will be disposed of at the end of the project. 10. Where can I get training on Export Controls? The Research Office is happy to provide training on Export Controls upon request. Additionally, the office will provide project specific training for new projects and personnel as required. Please contact Dr. Cordell Overby, Associate Deputy Provost for Research and Regulatory Affairs, for more information. 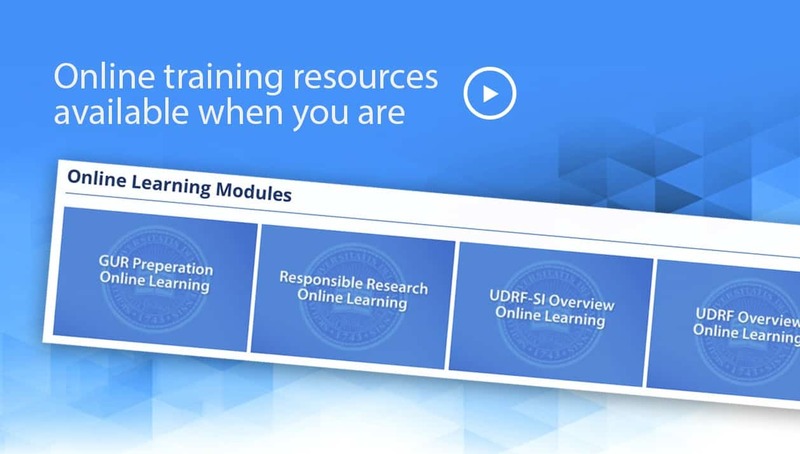 Additionally, view the UD online Training on Export Regulations or the BIS training sessions. 1. May the processing and filing fees for an H1-B visa be charged to a sponsored award? 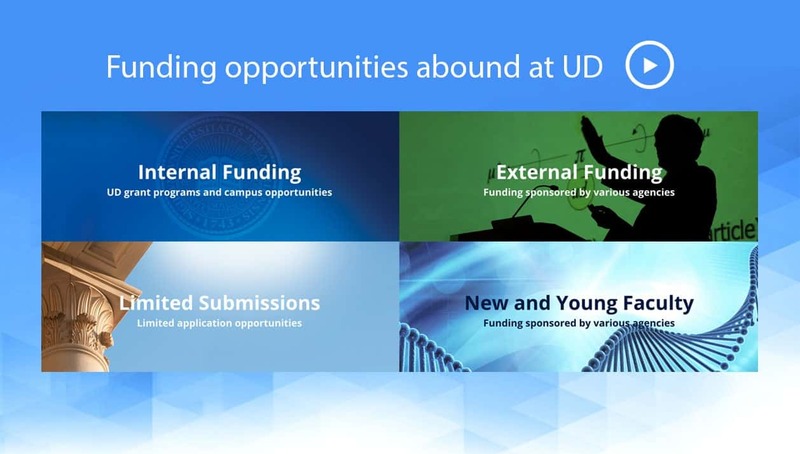 Research training resources and opportunities abound at UD. We encourage you to visit our training page to sign up for our latest seminar or explore the resources available. We have forms available from across the campus collected under one roof that deal with research at UD. Discover what is one click away. 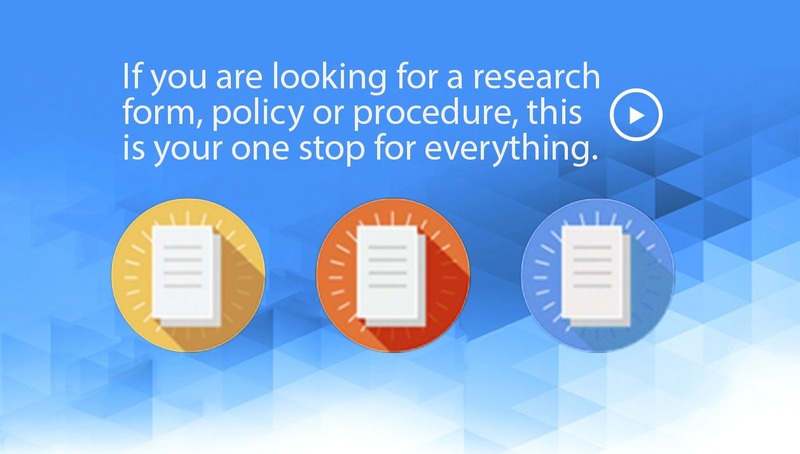 Policies and procedures for conducting research at UD can be found here. 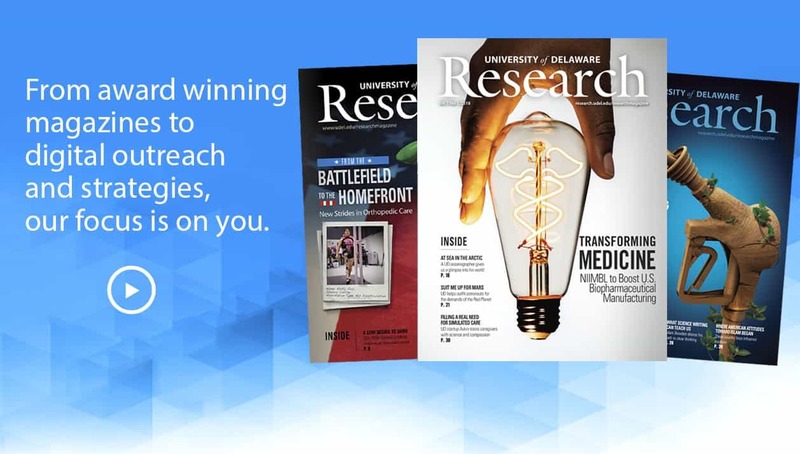 Explore these resources to aid in your research success.